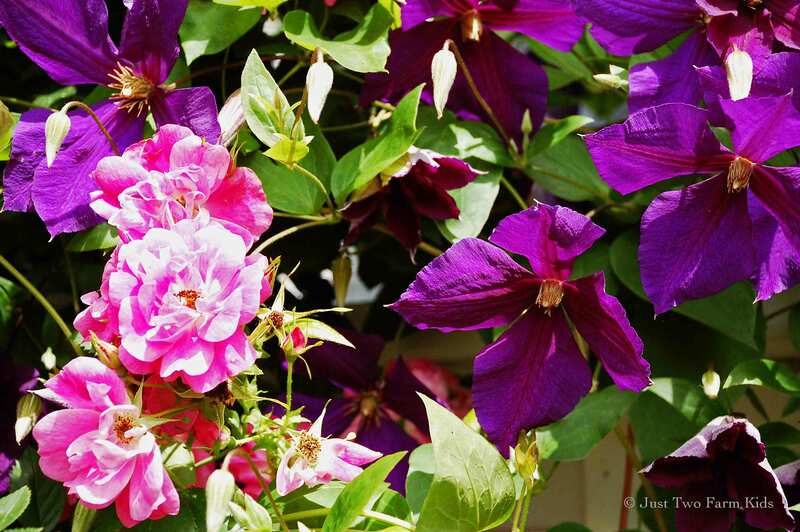 William Baffin roses climb up the corners of our front porch and share the railing with Jackmanii Clematis. 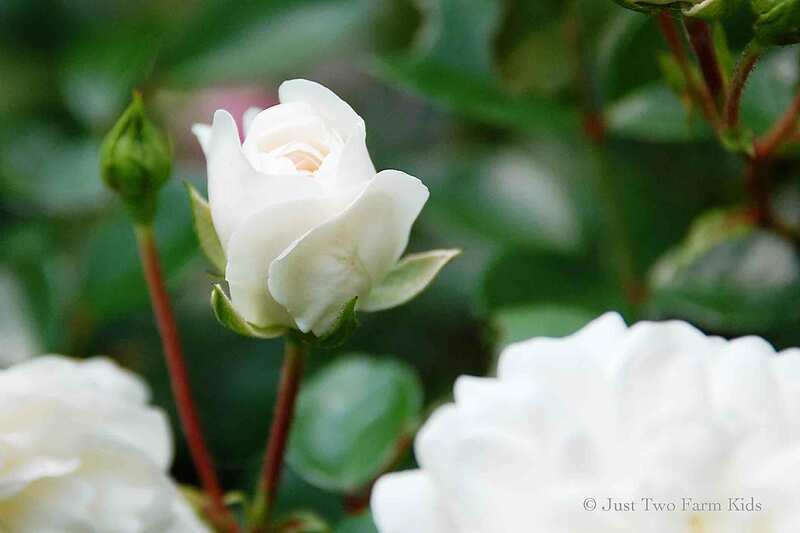 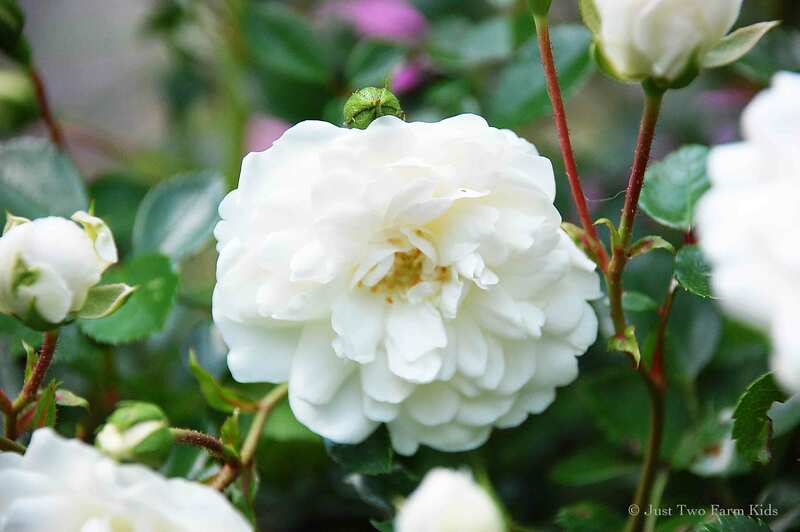 This white shrub rose is delightful. 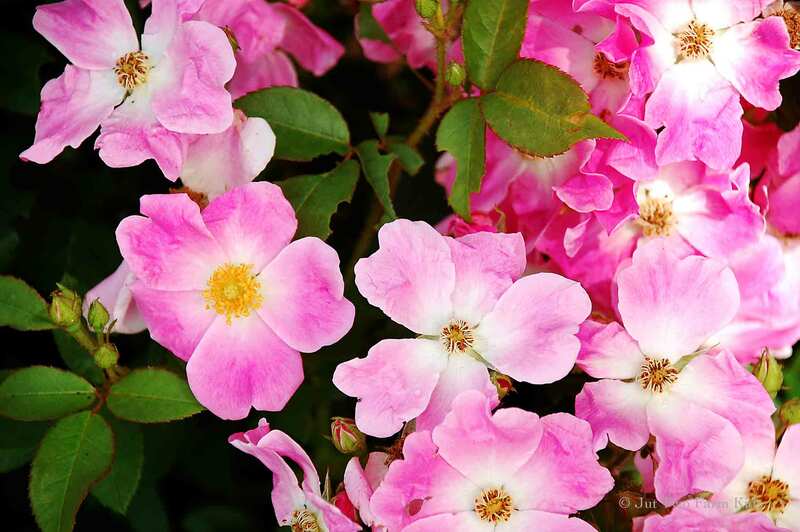 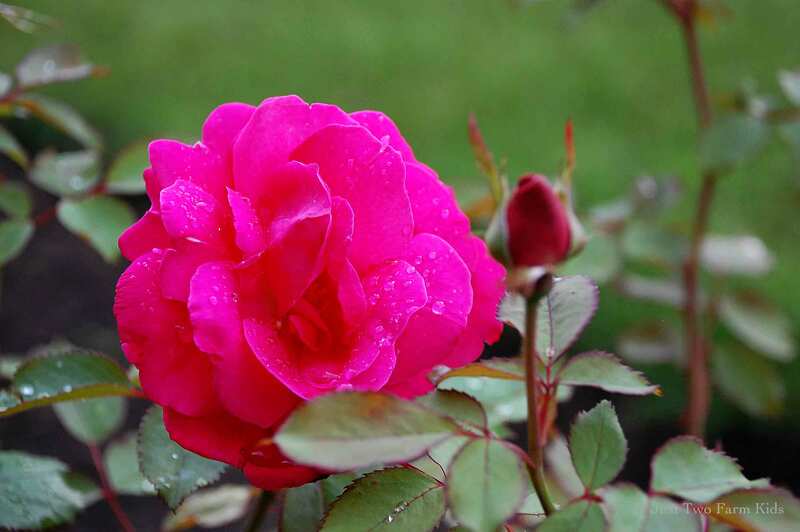 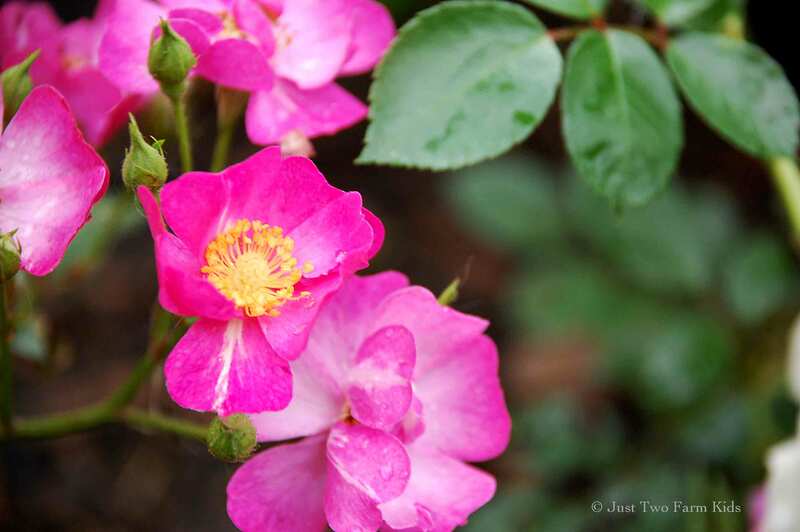 Everything is coming up roses…. 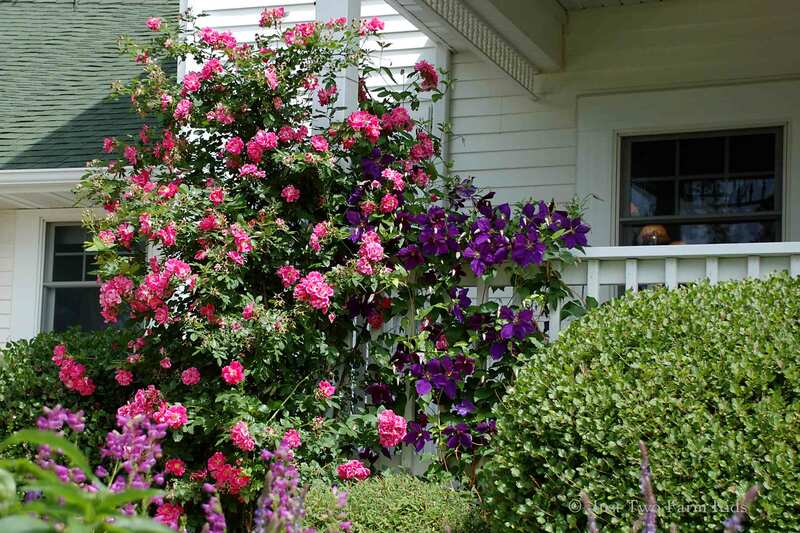 I love roses too…especially the old fashioned simple roses and shrub roses that get all big and billowy!